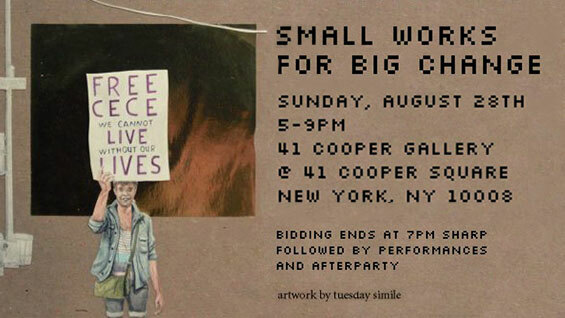 Small Works for Big Change is an art benefit for the Sylvia Rivera Law Project. Small Works provides an important space for trans and gender nonconforming artists, especially trans and gender-nonconforming low-income artists and artists of color, to showcase their work and increase their voice and visibility. The event, which features performances by Viva Ruiz, Leslie Freeman and Miz with Kelli Dunham as emcee, is free and open to the public. Registration is requested. Please visit SRLP event page to register and for the complete schedule.